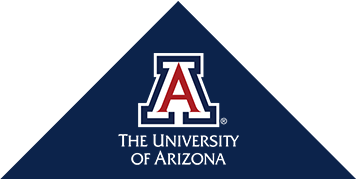 As an alumnus of the college and now Professor and Dean, we have much to be proud of at the University of Arizona College of Pharmacy. The College of Pharmacy’s first undergraduate major, the Bachelor of Science in Pharmaceutical Sciences (BSPS), is moving closer to realization after receiving University and ABOR approval this past December. We designed this major to be a cutting-edge degree in drug discovery, development and therapeutic use that provides its graduates with a springboard to careers and post-baccalaureate education in health care, research, regulatory affairs and biotechnology. The first classes in the program are being offered in the Fall semester 2018 to UA students. Expansion and renovation of the Skaggs Pharmaceutical Sciences Center started in September 2018. Many thanks to our generous friends, colleagues and donors who gave to this critical endeavor. This project will allow us to grow our research in drug discovery in particular, and to recruit outstanding faculty, fellows and scientists. With such talent, we will improve and expand scientific and educational offerings for our students. Our Southwest Environmental Health Sciences Center grant was recently renewed by the National Institutes of Health. This Center is a significant strength of the College which has been in place for more than 20 years. With its renewal, we will continue to train emerging scientists, perform toxicological research and engage in community outreach in topics of environmental toxicology. I will continue to inform you about our future plans and share our successes as we reach new milestones and implement educational initiatives for our students. Richard Katz is an entrepreneur, a leader in the pharmaceutical industry, and generous donor to the University of Arizona College of Pharmacy. Jamie R. Torner, UA PharmD' 12, passed away unexpectedly earlier this month.